On Friday 17th of March 2017, the IAG (one of the biggest airline groups) announced the foundation of a new low-cost airlines LEVEL that will focus on cheap transatlantic flights. This is great news not only for passengers but also for investors and binary options traders. The aerospace industry gets new impulse and new opportunities. Let’s use them. 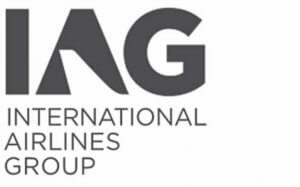 IAG (“International Airlines Group”) associates Aer Lingus, British Airways, Iberia, Vueling, IAG Cargo, Avios Group and recently also LEVEL. It is thus one of the biggest airline groups in the world, whose annual profit exceeds €1.5 million (annual turnover is more than €20 billion). This brief summary already shows, it is a particularly strong and financially stable group, which also perfectly combines the risks of their field. Its portfolio includes transportation of passengers focused on luxury as well as price and the air cargo service (IAG Cargo) is a great complement. The opening of a new branch in any field is always a sign of big plans and positive perspective for the future. It goes of course hand in hand with the investments. In this case, Level will use already existing administrative infrastructure, thus it will significantly save on fixed costs. The advantages are also the human resources. At the beginning, they plan to borrow them from Iberia. The IAG is a good investment opportunity because this group already diversifies the risk. If we look at their income statement, we can see profit. In addition, IAG continues to invest, for example to LEVEL. But their investments are much bigger. IAG has currently 287 aircrafts, 242 aircrafts they have in operative leasing and recently the make an order for 211 new aircrafts, mainly from Airbus. Company plans are huge and therefore we can expect that after these reports there will be few positive weeks for IAG shares. IAG shares worth our attention not only in the short term but also in long term. Anyway, if there is any reason why you don’t like IAG but you still want to stay in the aviation industry, what do you think about Airbus? 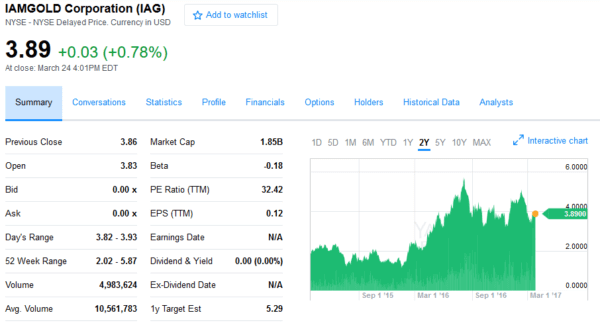 From the picture above it is obvious, that the IAG shares are relatively cheap and currently they are selling for around $4. If we compare it with shares of companies such as for example Apple (AAPL), whose share value is over $100, wee see that it is at relatively low price, considering it’s a well established profitable company. I personally expect their share price to rise. Airbus has currently higher pre-orders than its US rival Boeing. Additionally, Airbus is very successful with its low-cost model A350 (more fuel efficient than Boeing 787 Dreamliner) and recently promised to modify also its superjumbo jet A380 (the biggest aircraft designed for passenger transportation) to achieve better competitiveness (decrease the grand stairs inside, increase the number of seats and place the new generation of winglets to lower fuel consumption, etc.). Airbus therefore also shows interesting opportunities. But with your investor mind, you can go much further. Airbus uses Rolls Royce engines, Michelin, and many other providers. It is, of course, better to find a smaller provider, that is going to grow more thanks to Airbus and in the case of success, your investment is going to have higher returns. Here, you can find more information, about binary options trading.